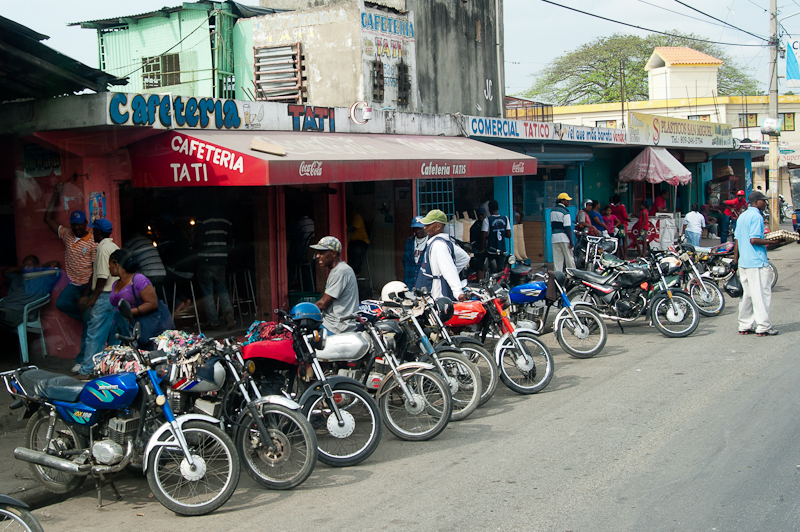 The taxis in the Dominican Republic are not like the ones here in the States, most of them are motorcycles. They get around quick and go places that cars can’t, they’re a great way to travel if they don’t scare you to death in the process. I’m not sure but I think who ever get there front tire out first at the intersection has the right away and the lines in the road appear to be just for looks. The buses we were on drove down the middle of the road most of the time. It makes for some very scary trips out to the mission sites.